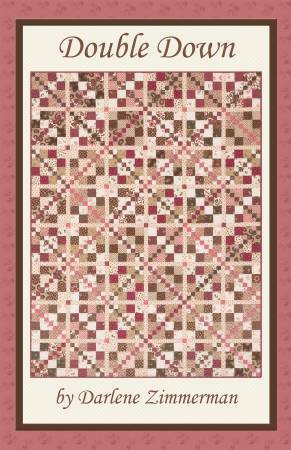 This pattern by Debbie Zimmerman uses precut 1 1/2" and 2 1/2" strips. The pattern provides directions to create three different quilt sizes: lap (53" x 71"), twin (71" x 89") and queen (89" x 107"). A Double Down Patchwork Garden kit is available.